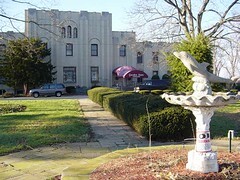 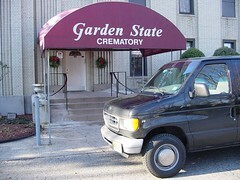 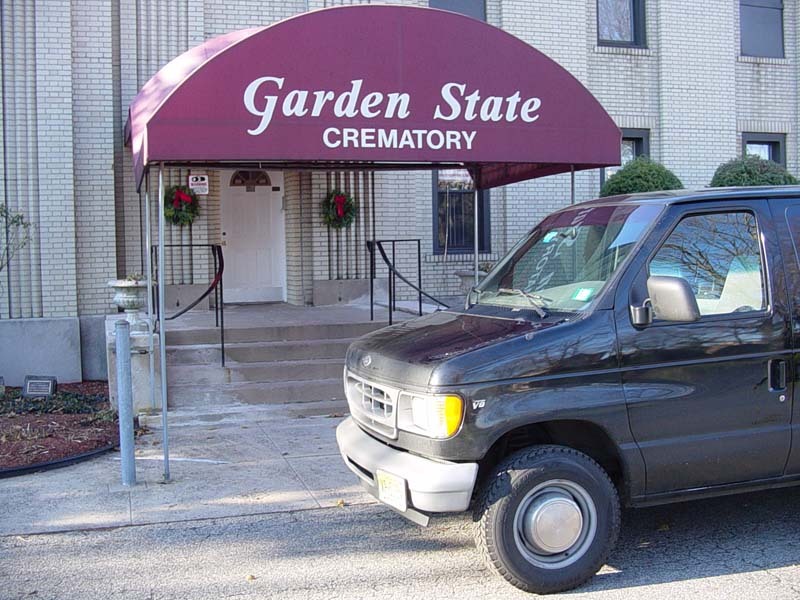 Throughout the late 1980’s and 1990’s, Hindu customers at the crematory used the main Christian chapel on the premises for their funeral ceremonies. Families could rent the space for up to 20 minutes, but this arrangement did not provide a satisfactory schedule for more traditional Hindu ceremonies, which took more time. 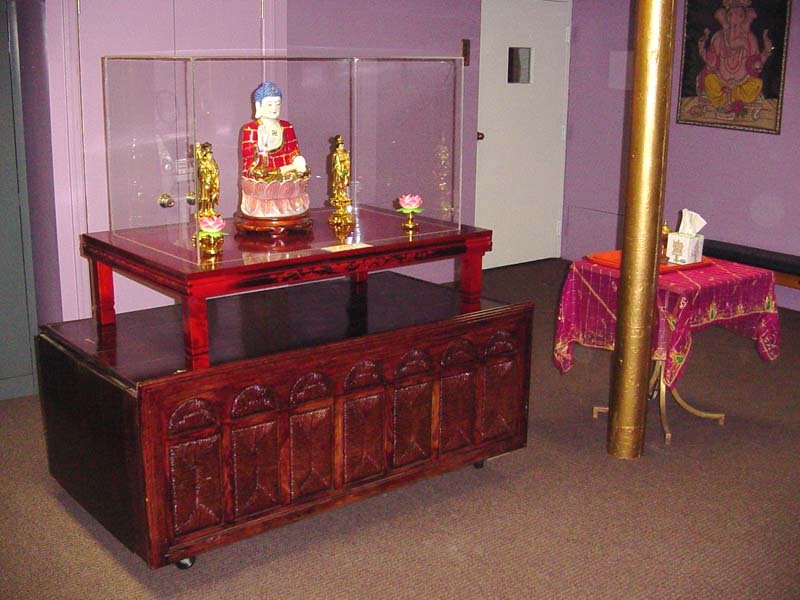 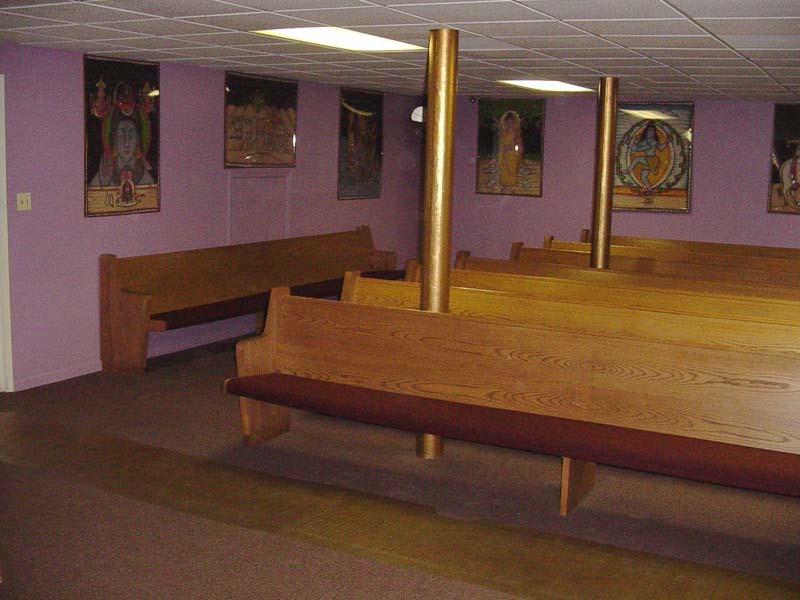 The crematory manager, Mr. Franklin Garzon, investigated how to facilitate the Hindu community’s needs, and decided to convert a basement room into a small Hindu chapel. 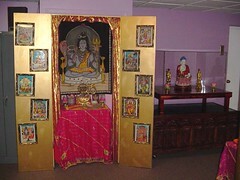 He went to a few Hindu temples for stylistic ideas, and consulted Mr. Rabindranath Singh, the owner and proprietor of the Shiva Mandir on Newark Avenue in Jersey City. 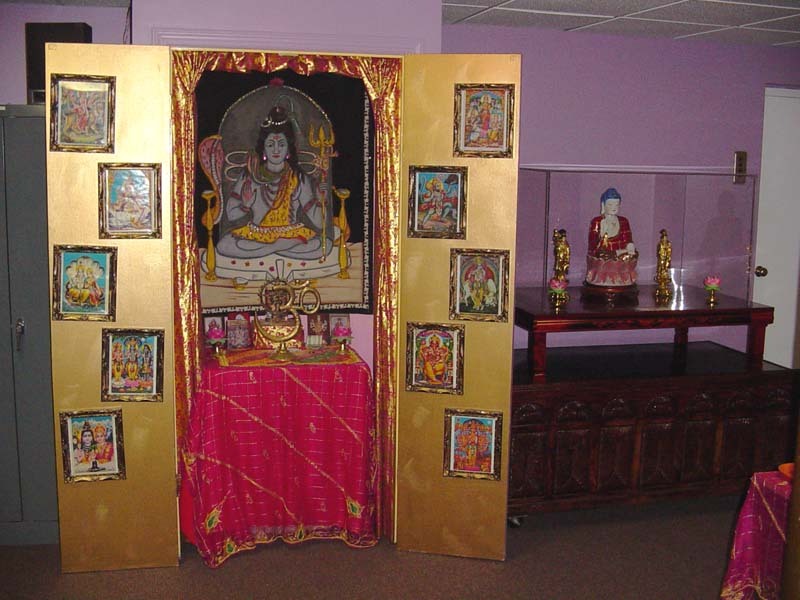 He bought pictures of Hindu deities from Mr. Singh’s store of religious artifacts, renovated the basement room at the crematory, and installed a small altar in front over which he installed a large picture of Shiva. 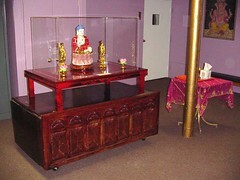 Other deities’ pictures include Ganesha, Hanuman, Durga, and Krishna. 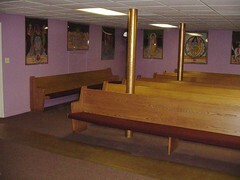 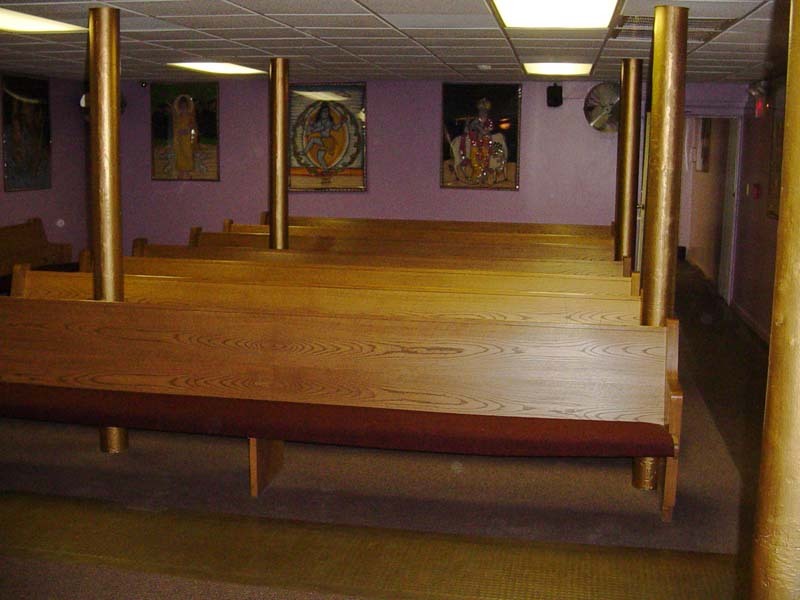 The hall is carpeted and has pew-styled seating.